While I certainly advocate loving Jesus with my heart and soul, I also know that the Bible tells us to love Jesus with all of our MINDS, too. 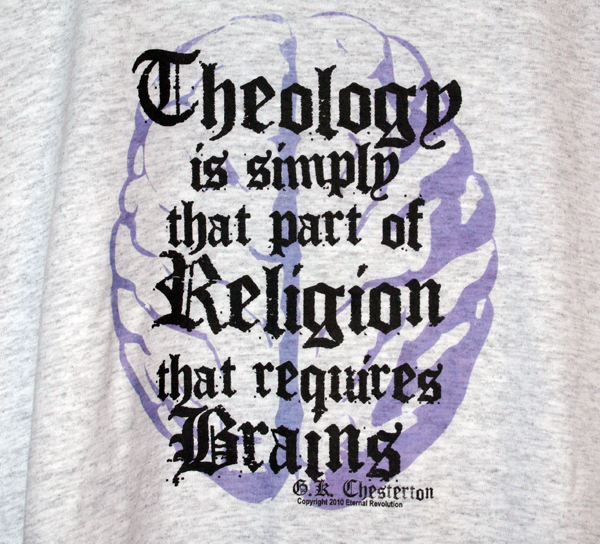 Theology is simply the study of God and Who He is. And here in the passage from Proverbs for today, we read that “Desire without knowledge is not good.” How can we truly love and worship Someone we do not know? God has revealed Himself to us in Scripture and in His Son, Jesus. We should be joyfully pursuing the knowledge of Him! The more we KNOW of Him (THEOLOGY), the more we will LOVE Him and worship Him (DOXOLOGY). All theology, rightly grasped, leads the mind and the heart to doxology. The story of God is about the glory of God. All revelation of the ways of God leads to exultation over the wonders of God. Wonderfully commented! Thank you for allowing for reasonable Christianity. Like Schaeffer said, Faith and Reason are NOT mutually exclusive. THAT concept didn’t come about until the so-called “Enlightenment” of the 1700’s. Knowing the scriptures accurately is nothing but beneficial to each believer! The Bible is our guide to life in Christ – why wouldn’t you want to know as much as you possibly could from and about it? Great post!